Doug Miller Photography: Why I Love/Hate going to summer carnivals. Why I Love/Hate going to summer carnivals. Yes: Can anything top the smell and taste of Carnival Food. Yum! No: The idea that one buys a side here, (fries) and the entrée way over there, (sausage sandwich) and the drink (Lemonade) somewhere else. No: Have to take out a second mortgage to pay for it. Buy for me I good for the long exposure on the rides after dark. Agreed! 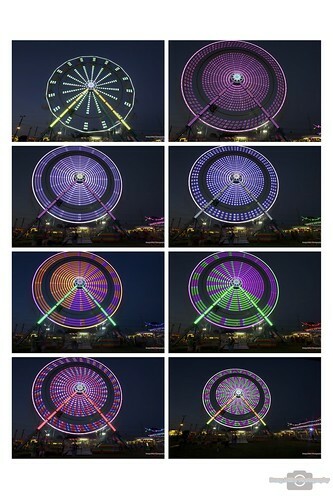 Great Ferris wheel shots.